When we get into our cars each and every day, we never expect to get into an accident. However, every year there are millions of car accidents that result in tens of thousands of deaths in the U.S. Even the most careful drivers can become involved in serious accidents. Although most car accidents cannot be avoided, the Friedman, Rodman & Frank Homestead car accident attorneys have provided steps you can take to be more prepared in the event that you’re involved in a car accident. First and foremost, remain calm and plan ahead. Just a little bit of preparation can help ease some of the stress you’ll endure if you’re involved in an accident. Keep an emergency kit in your car. Your kit should include a first-aid kit with medical supplies, pencil and paper, information about allergies or other medical conditions, warning triangles or cones, and emergency flares. Immediately following an accident, you should seek medical attention--remember, nothing is more important than your health and well-being. Once involved in an accident there are some things you should do to help protect yourself, as well as to help strengthen any possible legal action. Exchange information with the other parties involved in the accident. Be sure to include names, addresses, phone numbers, insurance companies, driver’s license numbers and license plate numbers. Also, get the names, addresses and phone numbers of any witnesses. Finally, take a quick minute to write down some details about the accidents (when, where and what happened). Oftentimes it can be hard to remember certain details days, weeks and months after a stressful event. Take photos of the accident. Nowadays most of us have smartphones, so let’s put them to good use. Take extensive photos of the accident scene. These could come in handy if there’s a dispute about exactly what happened during the accident, how much damage was sustained or what injuries occurred. File an accident report and get a copy for your own records. Remember, you’ll need as much documentation as possible to help support your claim. 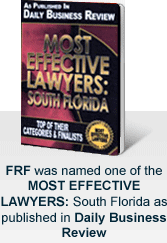 Florida has a statute of limitations (deadline to file a lawsuit) for car accidents. The statute of limitations in the state of Florida for automobile accidents involving personal injury against an at-fault driver is generally four years. If you have been involved in a car accident, and find out that the other motorist is uninsured, or underinsured it is important to know your legal options. According to the Insurance Research Council, one in every seven drivers in the United States is uninsured, and when their uninsured status couples with negligence, it turns into a sensitive and complicated situation for you. Don’t worry, all is not lost just because the other driver was uninsured. In the event that the other driver is uninsured, you may be able to file a claim against your own insurance for benefits. Some insurance policies include uninsured/underinsured motorist coverage, allowing you to receive damages up to the limits of your insurance policy. While you may have the coverage, your insurance company may refuse the policy or limit your compensation. When filing for uninsured/underinsured motorist benefits in Florida, you have a statute of limitations of five years. With the help of a Homestead car accident attorney, you may recover damages for medical expenses, lost wages, pain and suffering, and property damage. Navigating Florida’s legal system can be disconcerting. There are several factors involved, including liability issues, the extent of the injuries and the amount of financial loss. Lawyers will use these and other important factors when evaluating and handling your case. The lawyers at Friedman, Rodman & Frank are attorneys with an abundance of experience pursuing car accident cases. Our Homestead car accident attorneys want the best for you and your family. Please call our Homestead office at 305-247-7887 or toll free at 877-448-8585, or fill out a contact form online and we’ll contact you.